Ulster scrumhalf John Cooney says the mood was good in the camp as they went through Captain's Run at the Aviva Stadium on Friday. On Saturday Ulster face defending champions Leinster in the European Champions Cup quarter-finals at the same venue in Dublin. 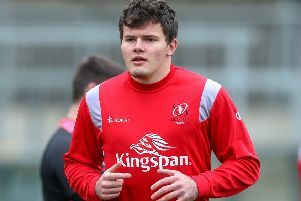 Cooney insists the absence of Jonathan Sexton from the Leinster line-up makes no difference to their approach to the game.